Mosquito control is now a reality thanks to Mosquito Squad, the mosquito exterminator. Our affordable, effective and convenient mosquito control solutions offer something for everyone. Serving the Rochester and Southeastern Minnesota area since 2010. Mosquito Squad Named One of Fastest Growing Companies! 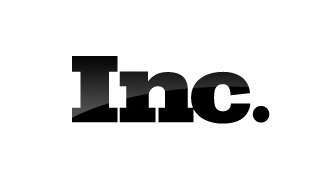 Congratulations to all Mosquito Squad's around the country for being named one of the nation's fastest growing private company for the THIRD year in a row by Inc. Magazine! In 2013, there are 125 Mosquito Squad locations, and in 2014 it's projected to grow to 150 different locations around the country! Mosquito Squad was ranked #862 of the list of 5000 companies, putting it in the top 20%. This is a big feat to make this list 3 years in a row, and we couldn't do it without the help of all our loyal customers and fans and the hard work we provide to serve you! Although we do not have to deal with malaria, we have the West Nile Virus to deal with and that can also be potentially dangerous. Call Mosquito Squad today to stop those mosquitoes in your yard, so you can enjoy your time outside without having to worry about mosquitoes and what diseases they may carry. 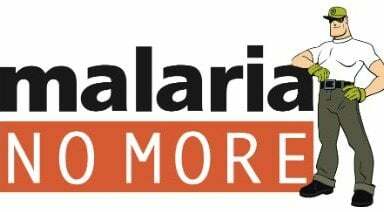 Check out our website and the Malaria No More website above to learn more about mosquitoes and what you can do to help others around the world! Technology just continues to amaze us. Professors in Virgina have came up with a tick-killing robot that actually works! Ticks are attracted to carbon dioxide and movement, so they take some tube and lay it on the ground where ticks like to live, leave it there for about 15 minutes and it emits a small amount of carbon dioxide into the atmosphere. Then the robot follows the tube, and behind the robot is a piece of cloth with a pesticide that kills ticks on it. Of course, this is not available to residential areas yet, they still need to do a few test runs. But if you are looking for tick elimination, give Mosquito Squad a call!! We offer barrier sprays which kill the adult ticks, and tick tubes which kill the nymph-stage ticks. The tick season is bad this year, and ticks can carry dangerous diseases that affect you and your pets. If you want to avoid those nasty creatures and enjoy your yard, give us a call today! If you want to get rid of these pesky animals from your yard, give us a call today!! We can eliminate up to 85% of those mosquitoes from your yard, leaving you to enjoy your outside time without the buzzing of mosquitoes. If you want to learn more about our services, give us a call or visit our website today! If you want to avoid West Nile and mosquitoes for the rest of the summer, give Mosquito Squad a call! We can eliminate mosquitoes from your backyard and keep you safe from the diseases they carry. Mosquitoes who carry West Nile are going to be more active now that it is later in summer, so give us a call or visit our website for more information on how we can protect you! Glad I'm Not in Alaska! You can see that the mosquitoes are EVERYWHERE! Even though we thought the mosquitoes were bad in Minnesota this season, I'm just glad it wasn't this bad! But if you want to get rid of those mosquitoes in your backyard, give us a call! Especially with the threat of West Nile virus rising, we want to help protect you and your family, and have you be able to enjoy your yard whenever you want. Give us a call today to learn more about how we can help and protect you! 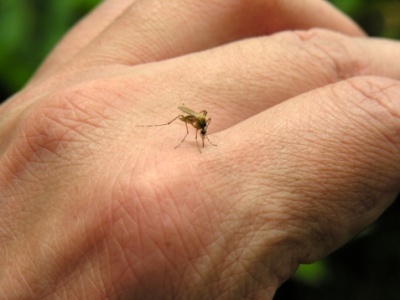 The first human West Nile virus case of 2013 in Minnesota was recently recorded. A man from Murray County became ill with the virus in early July and is currently recovering. This is a sign that we are now entering high risk West Nile virus season, and when spending time outdoors people need to start being careful. A way to help prevent this virus is to wear bug repellant, especially with DEET or permethrin added to it. As you can see, this can potentially be a very dangerous disease if not treated right away. At Mosquito Squad, we want to protect you in any way we can, and we can eliminate 85-90% of mosquitoes in your yard. This would be especially helpful now that we are entering into high risk West Nile virus season, so you can enjoy your time outside without worrying about mosquitoes and the diseases they carry. Give us a call today, so you can be protected for the rest of summer! John Langley was living a normal life just outside of Dallas, Texas last year, until disaster struck. He began to not feel well, then suddenly one morning his temperature soared and his body began to cramp up. His wife rushed him to the hospital and they found out what was wrong: Langley had been infected with the West Nile virus. After being in a medically induced coma for a month, Langley finally woke up and found that he was paralyzed from his neck down and needed a respirator to help him breathe. Today, he can breathe on his own again, but he's working on getting his other muscles back in gear since the disease made his muscles so weak. He used to be able to do handy work around the house, but now he has troubles just flexing his fingers every day, and this is all because of one tiny little insect: The mosquito. As you can see, one little mosquito can cause a lot of damage, and we are starting to approach the prime season for mosquitoes and West Nile. This is why we want to help you. At Mosquito Squad, we can eliminate mosquitoes for you in your backyard, so you don't have to worry about those nasty insects and be outdoors worry free. Give us a call today at 877-239-BITE (2483) today so we can start protecting you and your family for the rest of summer! This year it seems that ticks are out in abundance. Researchers are saying this is because of the late spring we had this year. Usually wood ticks are out first in May, then the deer tick follows later in summer. But since we had a late spring, the ticks are both out at the same time and this is why it seems there are more ticks than normal. Deer ticks are the ones people have to worry about, they are the ones who carry Lyme disease. Since 2000, the disease has risen greatly and this could be due to weather changes. Since ticks usually infect and cling to rodents at first, the weather is causing rodents to venture out further to find food and taking the ticks with them. Usually people just have to worry about ticks in wooded areas, but this is no longer the case now that rodents are on the move. People should be careful when they go outside and make sure to really look themselves over when they get inside for any ticks. At Mosquito Squad, we can help fight those ticks and keep you, your family, and pets safe this summer. We provide barrier spray treatments that work to eliminate adult ticks, and we also provide tick tubes, which work to kill nymph stage ticks. Give us a call today to learn more about both of these options and so you don't have to worry about those little ticks anymore!! The mosquito population has tripled this year, according to researchers and this is due to the winter that seemed to last forever. Usually mosquitoes hatch in increments starting in the spring, but this year they all seemed to hatch at once and this is why the mosquitoes seem so bad this year. We didn't really have a spring, so when it warmed up, the mosquitoes thought it was time to hatch and attack humans so they can't enjoy their yards. Mosquito Squad can help keep you safe this August!! We can eliminate those pesky and dangerous -mosquitoes from your yard, so you don't have to worry and can enjoy your time outside. Give us a call today at 877-239-BITE (2483) to protect you and your family for the rest of summer! Of course, mosquitoes are pesty insects that bite humans and leave itchy marks for days. But not many people know that the mosquito is the most deadly animal on the planet. It carries many different diseases that can affect people in different ways. Malaria: This disease is no longer present in the United States, but around the world this is a very dangerous and fatal disease. It is a treatable disease, but a lot of countries where this occurs do not have the resources to help everyone who contracts this disease. West Nile: Of course we have talked about this one before. 2012 was one of the worst years in the United States for the virus, and it may be hard to diagnose this virus without going to the doctor since the symptoms resemble typical sicknesses that could happen any day. Dengue: This typically occurs in tropic areas, but there have been rare cases found in the United States. Usually starting with a high fever, this disease then causes severe muscle pain, headache, eye pain, and rashes. Yellow Fever: This also is most common in tropic areas where mosquitoes are more likely to be found, and starts with simple symptoms, such as fever, pain, and vomiting. If it progresses to the second stage, this is much more dangerous and causes a higher fever, yellowing skin, and liver damage. This disease is pretty rare in the United States, but worldwide this disease causes 30,000 deaths a year. As you can see, mosquitoes can cause a lot more harm then just some minor itching and red bumps. It can put any one in danger, so give Mosquito Squad a call today so we can start protecting you and your family from dangerous diseases this summer! Could Mosquitoes Be Causing Childhood Obesity? Many people know that children today are more obese than they have ever been before, and this is due to overeating and not getting enough physical activity. Of course, summer is a big time to play outside and get physical activity, but could mosquitoes be causing children to not be able to play outside? A recent study done by scientists at Rutgers university looked at if day-biting mosquitoes may be causing more children to stay inside, and thus causing more obesity. The study took two similar communities and used mosquito control in one of the communities and no mosquito control in the other community for one year, and then two years later, the communities switched roles, meaning the one who had no mosquito control the first year now received mosquito control and the community who had mosquito control the first year did not receive mosquito control. The study found that when the community used mosquito control, children were more likely to spend time outside. They also suggested ways to help control mosquitoes in a person's yard by eliminating standing water, and know that mosquito control treatments will not take care of every single mosquito in your yard. If you and your children are unable to spend time outside due to the infestation of mosquitoes in your yard, give Mosquito Squad a call! We can treat your yard and eliminate 85-90% of those nasty mosquitoes, so you can enjoy your time outside without getting bit up or running the risk of catching a mosquito-borne disease. We want to help you and your family in any way we can, so give us a call today! The mosquitoes are awful this year, and some of you may be experiencing more mosquito bites than others. The Smithsonian has come up with a list of what attracts mosquitoes to more people. 1. Beer: Mosquitoes are attracted to ethanol and body heat, and even if you drink one beer, mosquitoes will be coming after you more than if you don't have any beer. 2. Exercise: Ethanol will also be released from your body when exercising due to the build up of lactic acid, and also because your body heat is likely to rise when exercising. 3. Pregnant Women: They also have a higher body heat and release 21% more carbon dioxide into the atmosphere, another thing mosquitoes are attracted to. 4. Blood Type: People who have Type O blood type are the most likely to get bit, followed by Type B, and people who have Type A blood type are the least likely to get bit. As always, it's important to use a good bug repellant, but the most important thing to protect yourself is to give Mosquito Squad a call. We know exactly where mosquitoes like to hide and how to get rid of them so if you have any of these attractive factors, we can eliminate the mosquitoes from your yard so you don't have to worry anymore. Give us a call today at 877-239-BITE (2483) today to start becoming unattractive to those nasty mosquitoes!! What the researchers recommend to keep you and your family safe is an active way to stop mosquitoes. First is to empty all standing water in your yard, or change it frequently if it is something like a bird bath or dog water. Second is to get the professionals to come out and help. That's where Mosquito Squad comes in! We want to help keep your family safe from West Nile by eliminating as many mosquitoes as we can. Since we live in a region where West Nile Virus may be in higher numbers, start to prevent it already by calling us and we can come out to your yard and spray for mosquitoes. Our barrier spray eliminates 85-90% of mosquitoes with a 100% satisfaction guarantee, so give us a call today at 877-239-BITE (2483)! Summer is the perfect time to just sit outside when you get home from work and just enjoy a cold one. But did you know drinking beer may cause mosquitoes to be more attracted to you? Researchers have recently done a study on if mosquitoes really are more attracted to people who are drinking beer than those who are not drinking beer. There have been some articles posted that say there might be a link to drinking beer and mosquito attraction, but here is a study that proves beer drinkers may have to be more careful when they are outside. This study shows that those people who drink more beer should be cautious of the mosquitoes around them, as they may be more prone to get bit by mosquitoes infected with diseases. If you still want to enjoy a beer outside on the deck, then give us a call! Our barrier spray treatments eliminate up to 85-90% of mosquitoes, and this means that you can enjoy your beer worry free on your deck all summer long! Give us a call today to start enjoying your yard and beer again! $25 off your first barrier spray!